My name is Eleanor and I’m a third year at the University of Nottingham. For the formative part of my degree I was a Joint Honours English and Philosophy student but, whilst I hold both the English Department here, and the subject itself, in very high regard, it became clear to me that it isn’t where I personally belong. 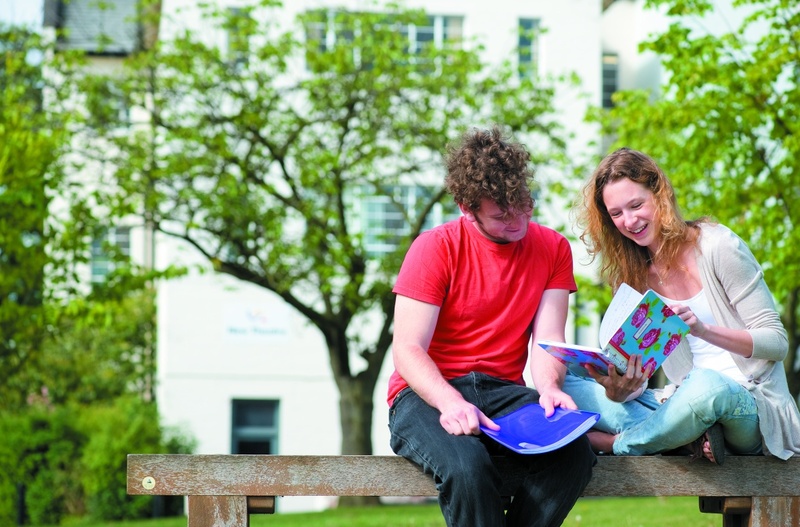 I would like to explain to you why I believe that the choice to study at the University of Nottingham was the best choice I could have made, before giving a description of the Philosophy Department as a whole, then a review of a specific module I took in my second year: Topics in Asian Philosophy. I was aware that the graduate employment statistics at the University of Nottingham are extremely high, that the campus is beautiful, and that the modules on offer, run by passionate and skilled professors, are varied, interesting and inspiring. However, it was the atmosphere on campus and the enthusiasm of the students that I found so irresistible when deciding which University was right for me. Campus life is so varied that one minute you can meet someone dressed in full medieval armour, and the next watch the rollerblading lessons in Cripps Car Park. The range of societies to choose between means that whatever your extra-curricular interests, there is a place filled with like-minded students wanting you to join them. And whilst academic attainment is, of course, the focus, it is recognised that other aspects of life are integral to a rounded and enjoyable university experience. Personality quirks are cherished here, and diversity and inclusivity are the standard. This is why I chose to study at the University of Nottingham, and why I would wholeheartedly recommend this University to anyone who asked for my advice. The Philosophy Department at the University of Nottingham is welcoming and friendly. The staff are passionate about their subject and want to share that passion with their students. The department is well-run and holds student feedback in high regard, frequently changing to accommodate new needs, ideas and responses. The broad range of modules on offer means a graduate from this department has a wide knowledge of Philosophy as an historical and socially relevant collection of thoughts, but also has a well developed skill-set applicable to whatever sphere of life they find themselves occupying. It is not rare at a university for students to enjoy our modules. It’s not rare for students to learn not only about the topic in question, but how it relates to the wider world. In the study of philosophy, it is not rare to discover new capacities and intricacies of situation or character, or, for that to lead to some self-reflection. It is rare however, even within philosophy, for a module to have a profound and lasting effect, not only on our studies, but on our everyday lives. This is what I found of studying the Topics in Asian Philosophy module at the University of Nottingham. Academically speaking, this module strengthened our current philosophical abilities, whilst reminding us of those skills unused since A-Levels. It helped us to develop not only an understanding of the Asian Philosophies in question, but how they interconnect, both with each other, and with Western philosophical ideas. The method of philosophy used in this module was unlike any philosophising we had previously performed, and, through contrast, gave us an alternative perspective, altering our automatic approach to philosophy and deepening our understanding of our discipline as a whole. On a personal level, I can honestly say that this module has changed the way that I behave on an everyday basis. I have, for instance, altered my approach to my free time, adding spontaneity and greater appreciation of the seemingly mundane. This module has inspired me towards further study of the topics involved, their relation to societal issues, and their relation to me as an individual. The excellent teaching of this module allowed for my personal, alongside my academic development, and the well thought out approach, structure, and communication made complex issues understandable, and made the entire semester of teaching entertaining and inspiring. I cannot recommend this module enough. As I hope I’ve made incredibly clear, I absolutely love my life here as a student and wish to share that feeling with as many people as possible. I hope that my words will have given some insight into life at the University of Nottingham and specifically within the Philosophy Department.